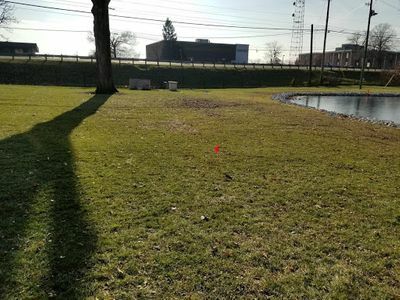 Ground Penetrating Radar Systems was recently called by a local contractor to locate underground utilities that may be struck during excavation in Columbus, OH. The scope of work was to identify and mark utilities that cross that may be in the area of a new foundation. 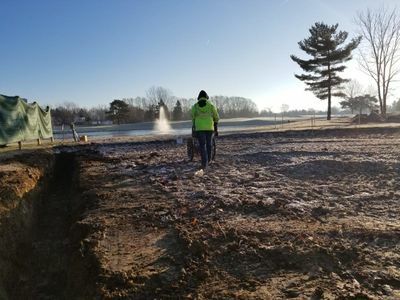 The contractor was working outside of a golf course, and could not risk striking a utility. GPRS, LLC. 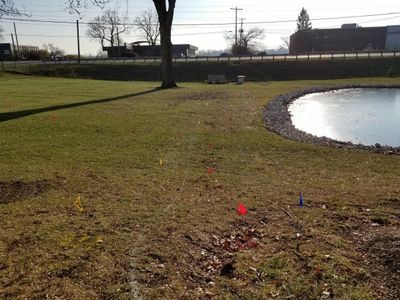 was able to use GPR and EM locating equipment to accurately locate and mark out several utilities that would have been struck during the excavation process. GPRS, LLC. was able to get to the job in a timely matter so the project could remain on schedule. Not only was GPRS able to get to the job quickly we were also able to work safely without interrupting any other site activities. GPR is an accurate and effective way of utilities, underground storage tanks, and voids. For more information on how GPRS, LLC. can help you on your next project, please contact Asher Coats at (419)261-4250 or by email at asher.coats@gprsinc.com. We also have the capabilities of locating reinforcing steel, conduits and voids in concrete.